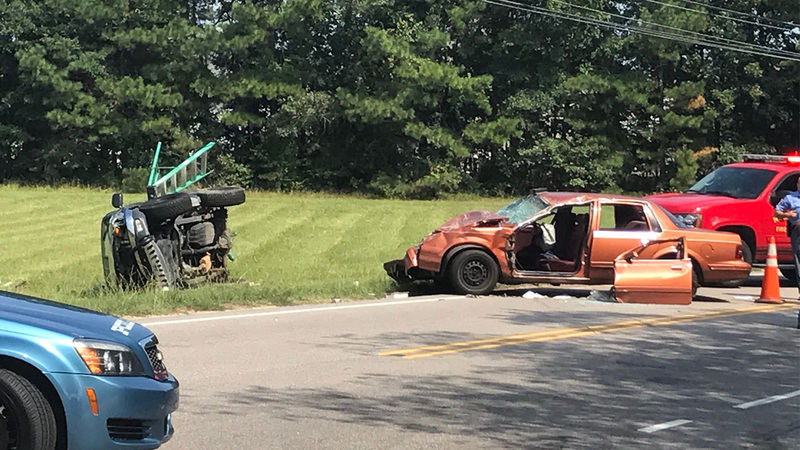 RALEIGH (WTVD) -- A multi-vehicle accident closed the intersection of State Road 2215 (Buffaloe Road) and River Landing Drive in east Raleigh for a few hours Wednesday morning. Authorities said the incident happened after 10:30 a.m.
Officials believe a pickup truck drove off the roadway, into a ravine, became airborne, and collided with the front end of a sedan. Chopper 11 HD over the scene.